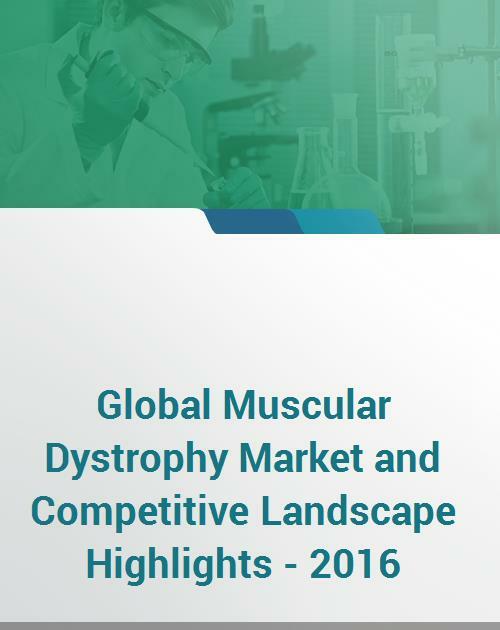 The latest research Global Muscular Dystrophy Market and Competitive Landscape Highlights – 2016, provides comprehensive insights into Muscular Dystrophy pipeline products, Muscular Dystrophy epidemiology, Muscular Dystrophy market valuations and forecast, Muscular Dystrophy products and competitive landscape. The research focuses on key countries such as the US, Germany, France, Italy, Spain, UK, and Japan. This report is classified into eleven sections – Muscular Dystrophy overview including etiology, pathophysiology, and diagnosis, Muscular Dystrophy treatment options, Muscular Dystrophy pipeline products, Muscular Dystrophy market analysis globally and by each country. The market analysis comprises of Muscular Dystrophy epidemiology, key products marketed for Muscular Dystrophy, market valuations and forecast, products sales and market shares.